The Deer Creek Daisies welcome winter with an organizational meeting. The main topic of discussion was “birds and blooms.” Seed magazines are beginning to arrive in the mail so new blooms can be selected. Don’t forget to feed feathered friends in the cold temperatures. An organizational meeting for the Deer Creek Daisies Garden Club was held Jan. 28 at the home of Julie Schwartz and co-hosted by Judy Gentry. The ladies were greeted with the smell of a large caramel-scented candle in the center of all kinds of appetizers, desserts and homemade punch. It was down to business as all enjoyed the delicious food and fellowship. Hidden numbers were on the bottom of their plates. Shirley Pettit and Connie Lindsey were given garden prizes for having the winning numbers. Lindsey opened the business meeting with great expectations of a new year of touring flower gardens, attending flower festivals and other related events. This is the club’s 19th year. Through much discussion, garden club members voted to meet six months of the year rather than 12. Keeping up with all the activities of grandchildren and family helped make that decision. Next year the organizational meeting will be held in March rather than January. Members selected six months on the calendar, making each member host once a year. Each year club members choose a different person to host a meeting with. March – Organizational meeting (hosted this year by Schwartz and Gentry in January). May – Hosted by Marty Cook and Barbara Vance. June – Hosted by Shirley Pettit and Connie Lindsey. September – Hosted by Billie Lanman and Emily King. October – Hosted by Rita Lanman and Kendra Knecht. Nov. 22 – Hosted by Joyce Schlichter and Jeannie Miller (Christmas celebration and gift exchange). Knecht accepted keeping records for the benevolence fund this year. Each member gave $20 as the balance was near depletion of funds. A flower fact: Why does my Christmas cactus bloom well before Christmas? If that’s the case, likely you have a Thanksgiving cactus; and another look alike is the Easter cactus which blooms in the spring. Although these cacti resemble each other there are some significant distinctions. The Thanksgiving cactus has phylloclades that are flattened green stems. The Christmas cactus has tubular shaped flowers and the Easter cactus flowers are more star-shaped than the others. Each of these holiday cacti require well-drained soil and do not like to be over watered. Cool evening temps, around 50-55 degrees, and 12-14 hour nights promote bloom set. This research was done by Schwartz as every year her Christmas came early…Christmas cactus that is. 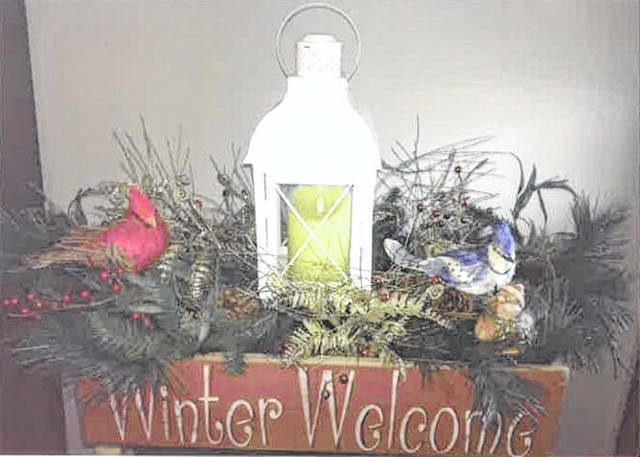 https://www.recordherald.com/wp-content/uploads/sites/27/2019/02/web1_DeerCreekDaisies.jpgThe Deer Creek Daisies welcome winter with an organizational meeting. The main topic of discussion was “birds and blooms.” Seed magazines are beginning to arrive in the mail so new blooms can be selected. Don’t forget to feed feathered friends in the cold temperatures.